Cuomo is Catholic. The Catholic Church’s Code of Canon Law states in Law No. 1398 that “A person who procures a completed abortion incurs alatae sententiae excommunication.” The question is: Would that law apply to Cuomo, who signed a law that will result in the death of unborn babies, even though he didn’t perform them himself? Several media outlets, including the Catholic News Agency and The Washington Post, have tackled the question. “If we Catholics really believe what we say when we talk about heaven, hell, and the dignity of the unborn, @CardinalDolan should, after exhausting all other means of correction, excommunicate @andrewcuomo,” Schmitz wrote in a Tweet. An excommunicated person cannot participate in the church’s sacraments. Others believe the church in New York could stop short of excommunication and instead consider Cuomo “obstinate perseverance” in grave sin. 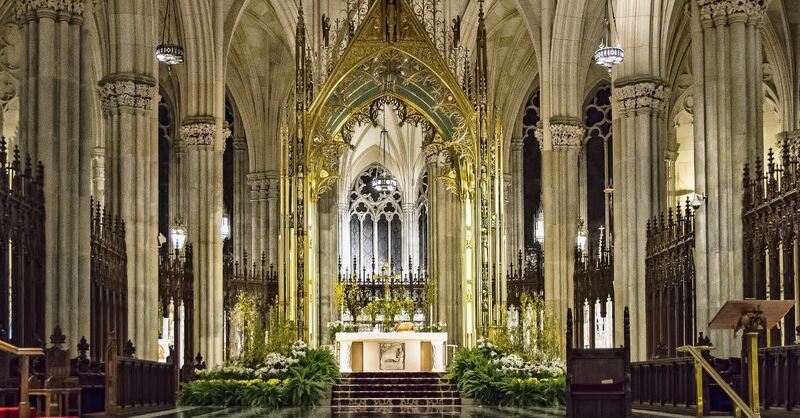 This would prevent him from participating in communion in the Archdiocese of New York, according to JD Flynn, who raised the idea and is editor in chief of the Catholic News Agency and a canon lawyer. C. C. Pecknold, a professor of theological, social and political thought at Catholic University of America, called that “wise, circumspect canonical counsel for” Dolan. “How can we genuinely teach the importance of concern for other vulnerable beings, however troublesome or inconvenient they may be, if we fail to protect a human embryo, even when its presence is uncomfortable and creates difficulties?” the pope asked in 2016.